Robin Street Market - The Market Blog: Turkish Foodie Showcase: Baklava, Kebabs, Kahvesi...Yum! Turkish Foodie Showcase: Baklava, Kebabs, Kahvesi...Yum! 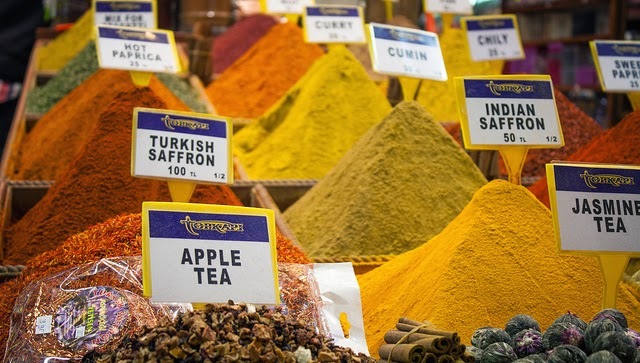 You didn’t think we’d leave Turkey without giving you some amazingly mouth-watering Turkish recipes to try, did you? No way! The Turkish culinary repertoire is a real melting pot of other cuisines and shows very strong regional associations throughout the country. For example, the Black Sea Region specializes in fish recipes and shows influence from Balkan and Slavic cuisine. In contrast, the regions of Istanbul, Bursa, Izmir, and near the Aegean Sea show greater influence from traditional Ottoman court cuisine. This means dishes with a lighter use of spices, more vegetable stews, and a preference for rice over bulgur. Occasionally, regional recipes will include the name of a city or region, which can actually help differentiate one recipe from another. For instance, take the urfa kebab and adana kebab. 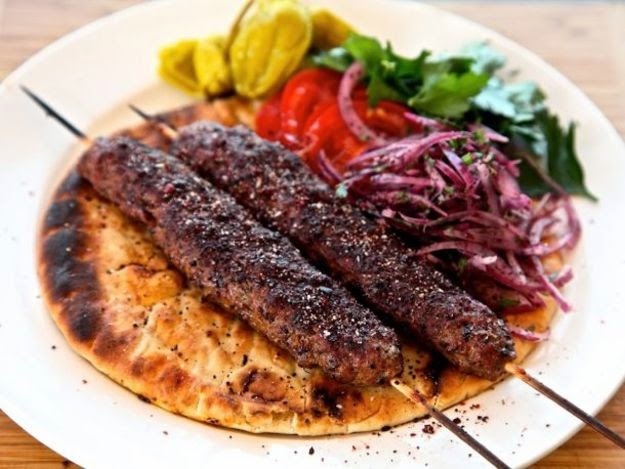 The urfa kebab is thicker and less spicy than the adana kebab. All right, now that you have a little bit of background knowledge, it’s time to dive in and take a look at a few different traditional recipes. We’ve looked high and low to round up the tastiest looking recipes around...so dig in and enjoy! Click here for Serious Eat's full recipe. Traditionally this is a very popular fast-food meal for Turks and foreigners alike, but of course with a little ingenuity and clever work-arounds it can also be made in your own home. The meat won't be quite the same (unless you have a vertical rotisserie) but you can definitely recreate some of the traditional sauces and toppings. 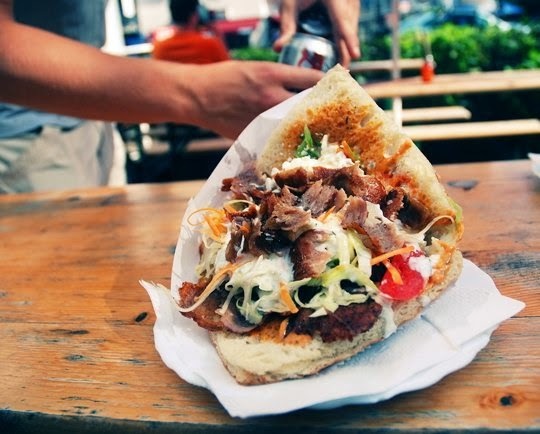 Click here for The Kitchn's thoughts on how to get started with at-home döner. What’s not to love about flakey pastry, pistachios (or sometimes walnuts), and a gooey, delicious melt-in-your-mouth syrup? Nothing. 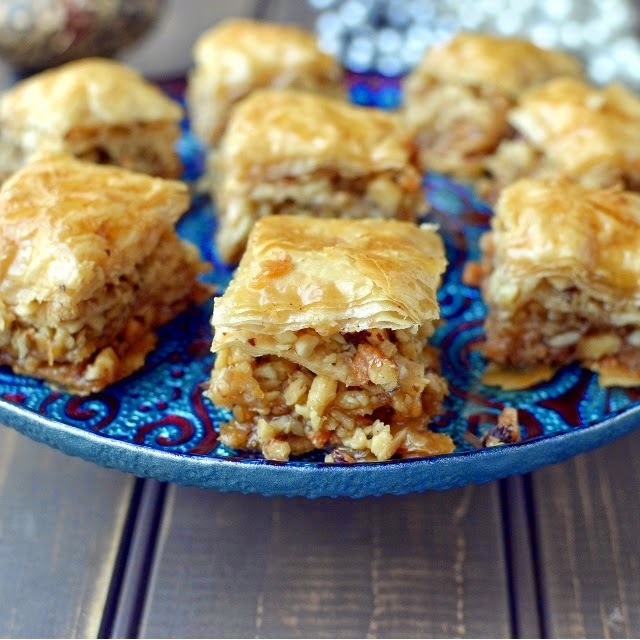 Baklava is just about the most incredible dessert on the planet...in fact, we can’t think of one that tops it. Nope. Nada. Click here for Cook's Hideout’s full recipe. It's well known that we're fans of coffee. Whether it's in a cup or in a homemade project, we simply can't get enough! 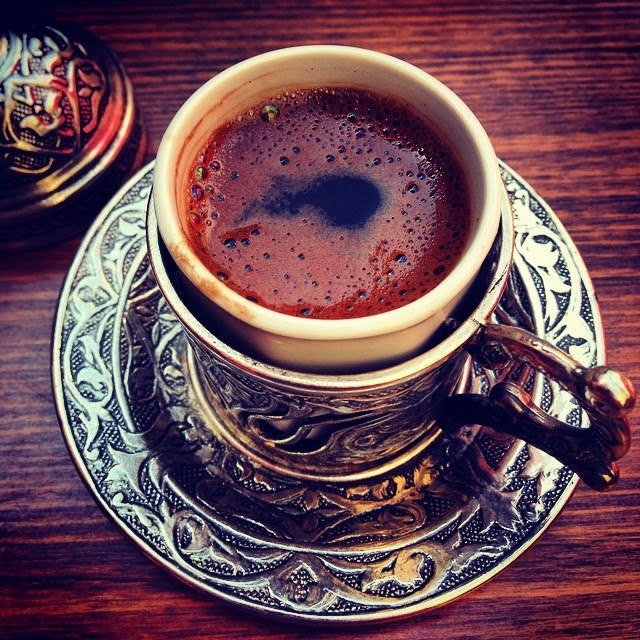 Turkish coffee is said to be a little sweeter than the regular cup of java. The secret to perfect Türk Kahvesi is not in the beans, but in the way it's prepared. Click here for full preparation instructions.